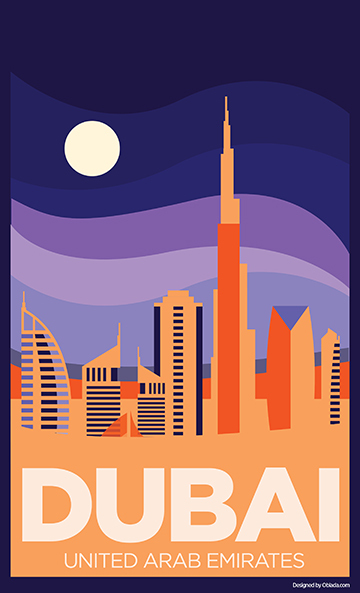 Was hit with a bit of inspiration today and now want to create a series of vintage-style travel posters based on places I have been. In particular, I want to explore different – and unexpected – ways of incorporating colour in my designs. First up: Dubai, United Arab Emirates, which I visited in 2016.